Nick Coley lives in Driffield, Yorkshire. 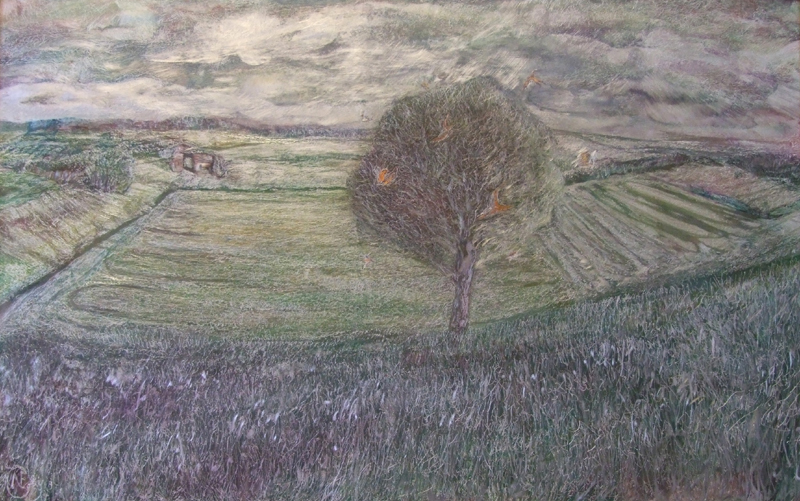 His original paintings are mixed media of the Wolds landscape, produced on aluminium sheet. The materials and techniques he employs - paint, engraving, etching - create unique pieces which have a shimmering, live quality about them, affected by how they interact with light, and from which angle they are viewed.